We would love to host your next birthday celebration! 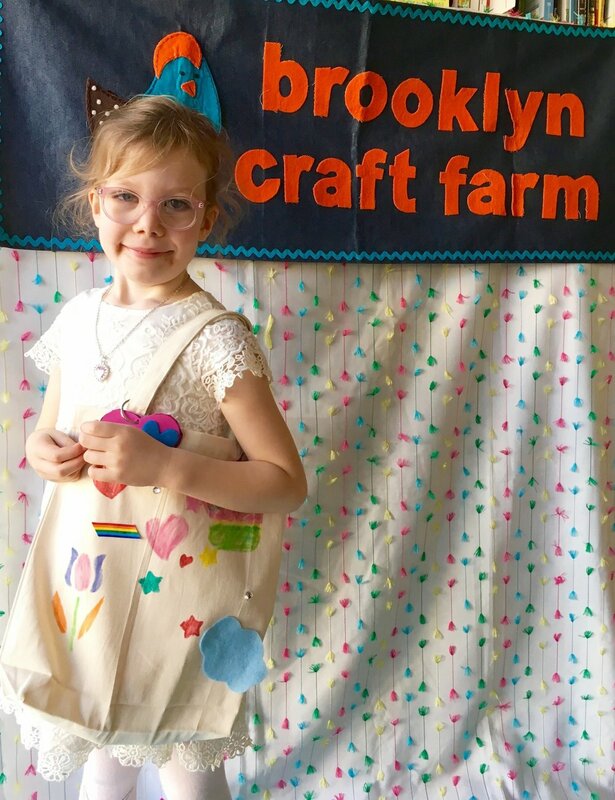 Brooklyn Craft Farm offers parties at our venue for ages 4 and up on the weekends. If you would prefer to celebrate at home, Brooklyn Craft Farm can bring the craft activity to you on weekdays or weekends, (see details under craft-a-go-go package). Our parties are unique, engaging, creative, and always totally fun! An hour of crafting (all supplies are included), just choose a craft from our craft options page . This will be the main party craft, but we will fill out the time with some smaller crafts, time permitting. Each child will take home their projects. *If the chosen craft is the Plush Toy Design, please note that this craft will take a bit more time and we will need to extend the party to 2 hours, an additional fee applies. A half hour of cake and/or pizza party time. We provide pitchers of water, plates, cups, forks, napkins, a cake cutter and tablecloths. *Parents are responsible for providing the cake, any additional beverages, and/or pizza. 2 art instructors to guide the craft project and facilitate the party. Party favors are available for an additional $7/ child- the favors include a design you own jigsaw puzzle craft, and a colorful sketch pad, pencil, and eraser set. We host parties on the weekends at our venue, Read 718, in Boerum Hill Brooklyn, (16 kid maximum). Read 718 is a bright and lovely space located at 420 Atlantic Ave., between Bond St. and Nevins St. Parents are welcome to drop off or stay for the party. For any kids under the age of 5 we do require a parent/guardian to stay for the party. You are welcome to bring any beverages and food for your guests at this venue. We deliver! If you would like us to provide a craft activity for your party at home or at another venue, (weekdays or weekends) please see the details on our Craft-a-go-go page! Our standard 1.5 hour venue party package is $545 for up to 10 kids including the birthday child, and $35 for each additional child, 16 kid maximum. Party favors are available for an additional $7 per child. The party favor includes a colorful sketchpad, pencil, and eraser set and a design your own jigsaw puzzle craft. The Plush Toy Design craft takes a bit more time, and therefore if this is the chosen project we will need to extend the party to 2 hours. An additional $70 will be added to the balance to extend the party to 2 hours. If you are interested booking a party feel free to fill out our party inquiry form or give us a call ( 646-450-3276) and we will get back to you shortly!